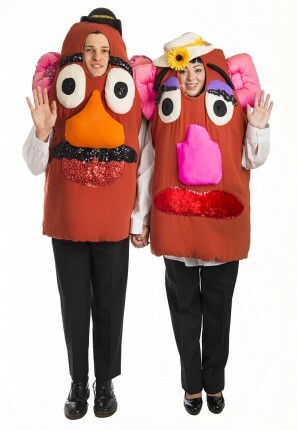 Go as the cutest Disney couple costumes Mr and Mrs Potato from Toy story. Perfect for a Disney or movie themed party. Each costume consists of all in one potato body with the face and hat details. You can add optional black black and shirt if necessary.